The man found dead in a burning car in Northern Virginia earlier this spring was abducted and fatally shot by gang members who had not known him, Prince William County Police announced Wednesday. The victim was not a member of any gang, police said Wednesday. The victim, identified as 25-year-old Santos Arquimidis Sorto Amaya, was last seen leaving his Woodbridge home on the morning of March 13 to go to work. His family reported him missing the following day after he didn't show up for work and could not be be reached. At the time, no signs of foul play were reported, police said. 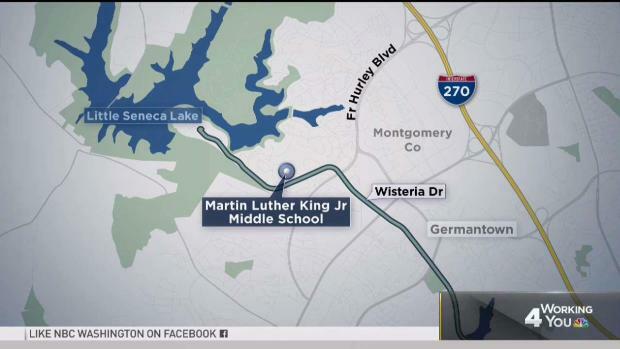 Fire crews discovered a woman's body in the back seat of a car near Dr. Martin Luther King Jr. Middle School in Germantown. Jackie Bensen reports. Police now believe Sorto Amaya was abducted in front of his home and was then fatally shot multiple times, they said Wednesday. At some point, police say, the suspects put Sorto Amaya's body into the trunk of his own car and drove it to Veterans Park, where they set it on fire on the morning of March 15. 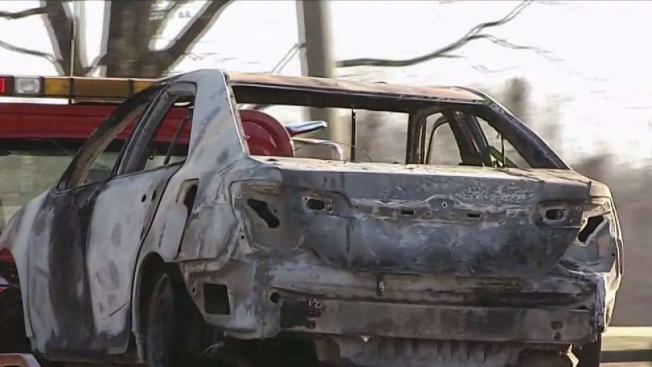 Three adults and a teenager were arrested and charged in the days after authorities found the victim's body inside the burning vehicle. Police said Wednesday that the suspects involved in Sorto Amaya's death were members of the gang MS-13. Manuel Enrique Robles Lopez, 21, of Manassas, was charged with being an accessory to murder. Police charged a 17-year-old Woodbridge boy with murder; he was being held at a juvenile detention facility, police said in March. Members of the U.S. Marshal's Fugitive Task Force arrested two other men, 23-year-old Erick Alexander Contreras Navarro, of Manassas, and 19-year-old Denis Ludwin Espinal Alvares, of Oxon Hill, Maryland, in Wilson, North Carolina.